The solution: Nikon is making available to all owners of D600 cameras (even if Nikon’s product warranty has expired) this customer-service measure, which includes the inspection, cleaning and replacement of the shutter assembly and related parts of your camera, FREE OF CHARGE as well as the cost of shipping D600 cameras to Nikon and their return to customers. In the event that after this customer service measure has been performed, dust particle spots are still visible in your images, please contact Nikon Customer Relations by phone at the number indicated below to discuss your concern. 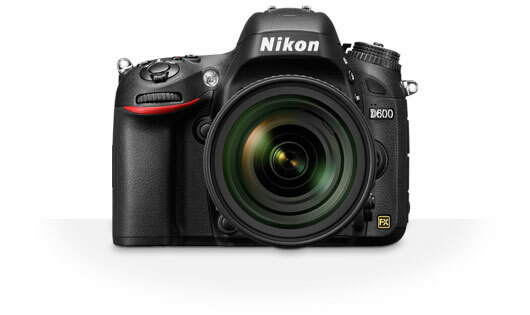 If appropriate, Nikon will either replace your camera with a new D600 camera or its equivalent model. Once again, please understand that regardless of this service, your D600 camera (and all D-SLR cameras) will continue to require normal, periodic sensor cleanings. *There is an issue with label printing when using early versions of the Internet Explorer web browser. Please use an update or alternate browser (such as Firefox or Chrome) for the link above. If you need more information regarding this matter, contact Nikon Customer Relations by phone at 1-800-Nikon US (1-800-645-6687), 9AM–8PM EST, Monday to Friday (closed certain holidays) or online here.